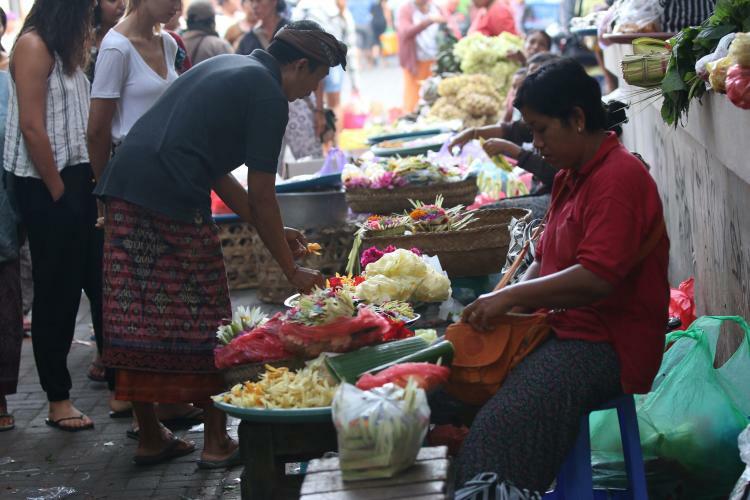 Visiting a local market provides a fascinating insight into the culture of Bali. 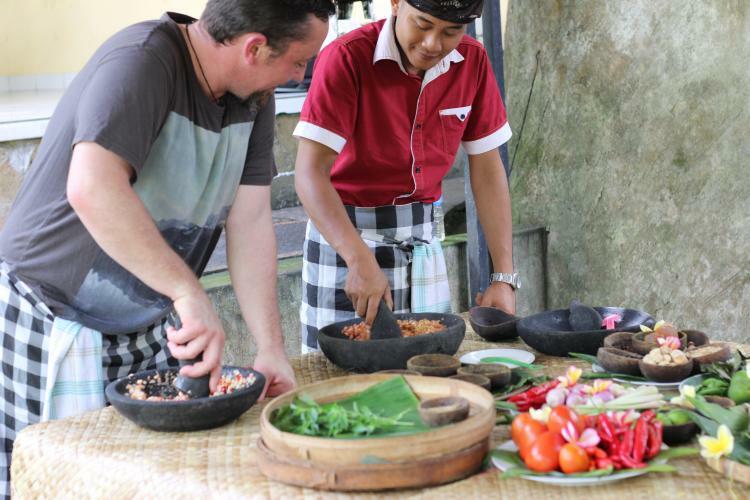 See Balinese daily activity in selecting fruits, vegetables and spices that used for cooking. 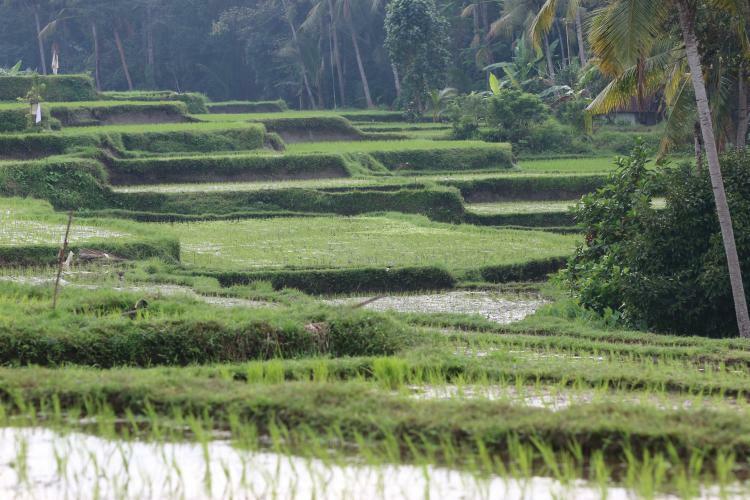 See rice field and learn how Balinese cultivating their land and growing rice. 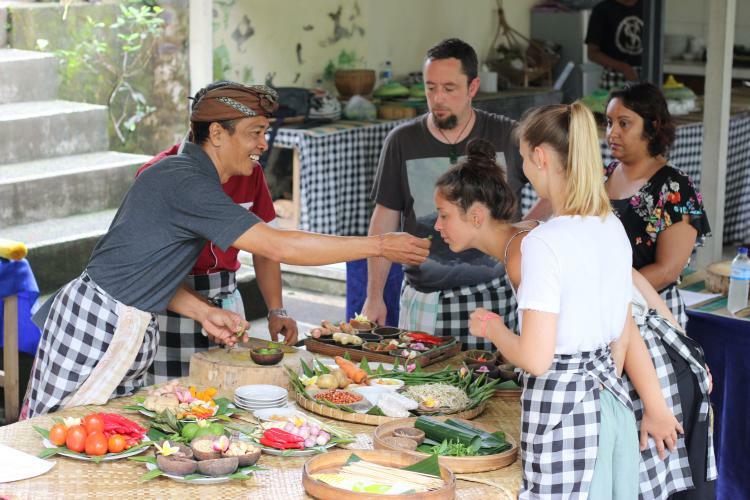 You will learn how "Subak" as a society of Balinese agrarian to manage(organize) their irrigation system. 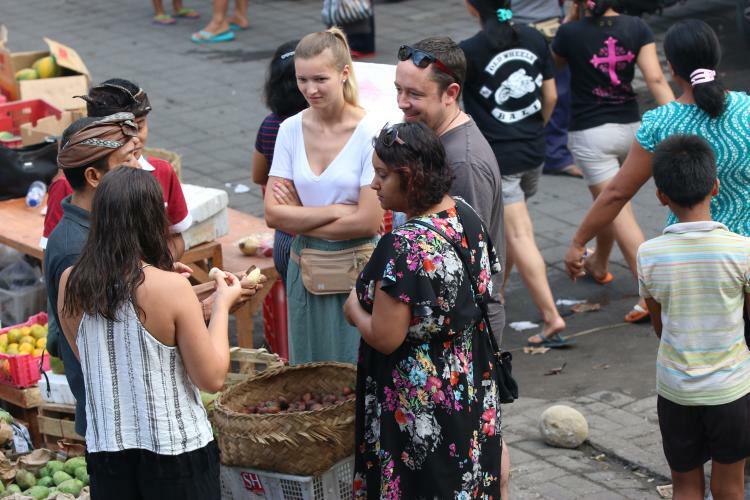 Make Bali offering for the Gods, Canang Sari which beautiful array of colorful flowers. A symbol of thankfullness to the Balinese Hindu to the God. 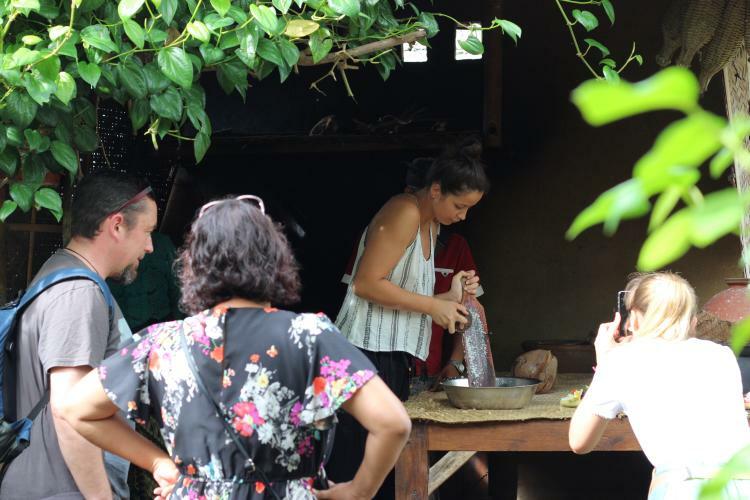 Learn how a Balinese process coconut into oil which is the best for cooking. 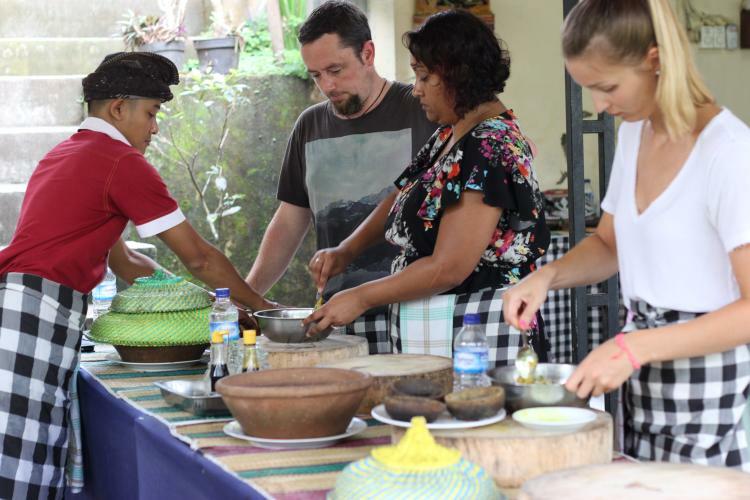 Make traditional Balinese spice paste used as a Base for many dishes, learn how to make a Balinese dishes and then enjoy the foods you made. span. 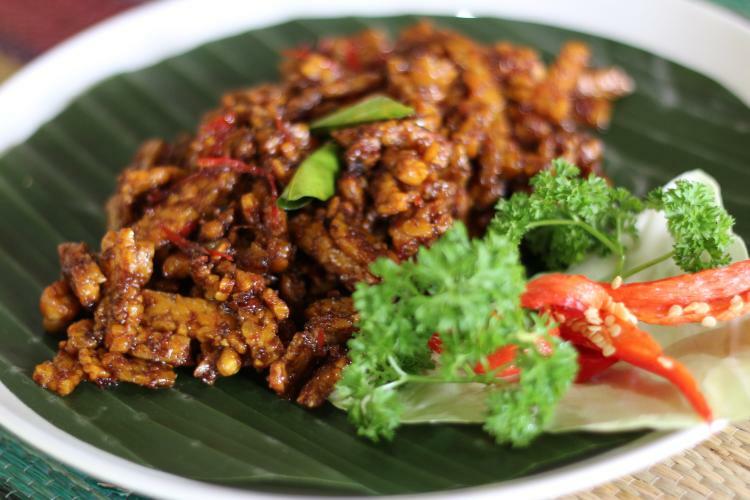 Please contact us if you have any special requests (eg allergic foodstuffs). 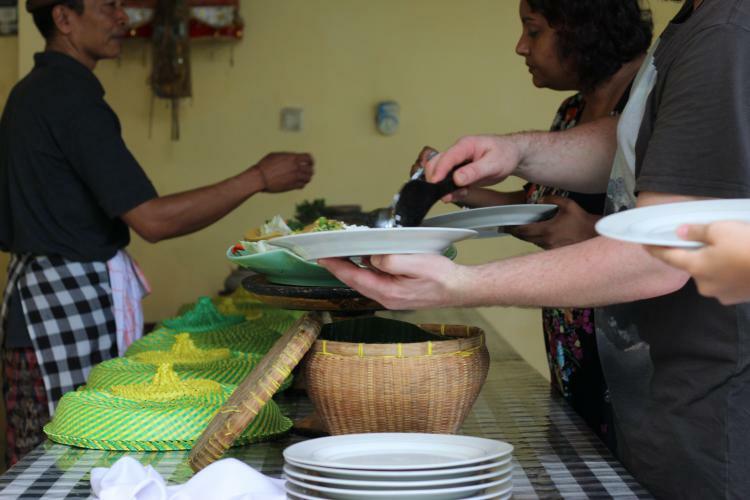 Make a delicious of authentic Balinese foods with Meat Recipes or Vegetarian Recipes.